Rick Edwards is a publishing veteran with more than 40 years of experience in ministry, curriculum development, and magazine publishing. He is currently involved as a speaker, author, and Bible teacher while managing a Christian publishing business. 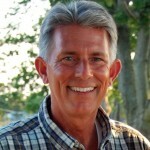 He is the owner and publisher of SundaySchoolZone.com and has written Called to Reign: The Bride of Christ and the Unfolding Story of God’s Kingdom People. Rick believes the Lord has called him to help the church teach His story to successive generations. This is what he wakes up thinking about and how he plans to invest the rest of his life. Rick resides in Lebanon, Tennessee with his wife, Caroline, who works alongside him as they run the business and work to fulfill the Lord’s calling on their lives. They are optimistic about the future and believe the local church is already shaping the future through its ministry to preschoolers and grade schoolers. To learn more about Rick, his story, and other things he is doing, please visit his web site, RickEdwardsOnline.com. To contact Rick directly, simply email him at [email protected]. You can also read other articles Rick has contributed to The Sunday School Zone Blog.